MOMO GEMS started from love. Our clear beginning was back in 2010 when we start our "together" life, dated Nov 07, 2010. Armed with over 40 years of experience from our parents, we set out to build a romantic place in our own name for couples and jewelry lovers to sit down and have a conversation about their love in jewelry. Come visit us and explore your jewelry passion here. 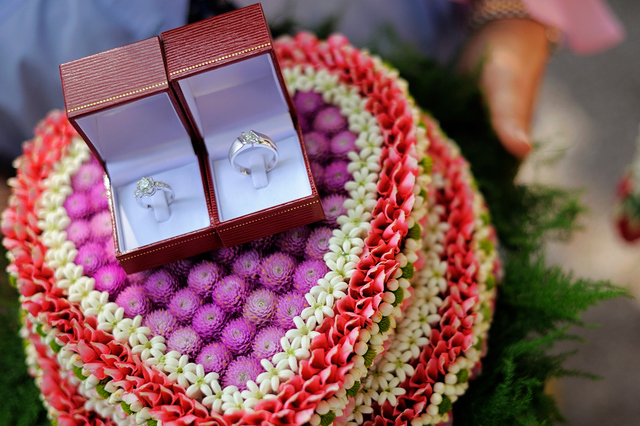 Our engagement ceremony in Phuket on Nov 07, 2010.